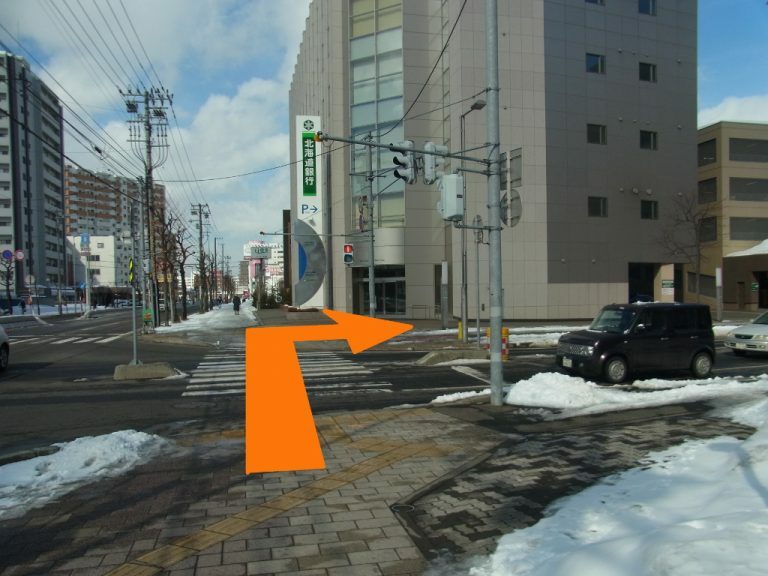 This page introduce you the way from the Higashi-Sapporo Station of Tozai-Line, Sapporo City Subway to the Sapporo Convention Center. And The following information came from ESJ65. 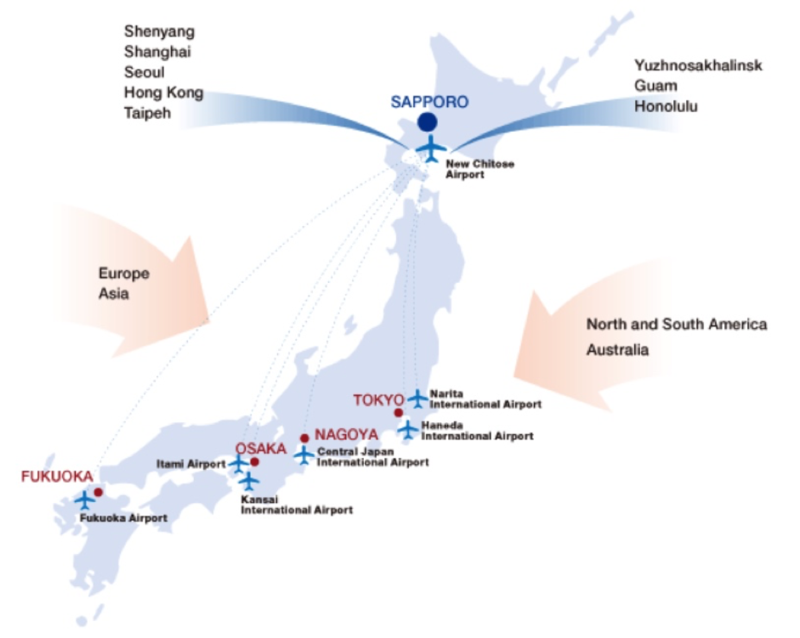 We will show you the route drawn by orange line on the map. Line. Platform No. 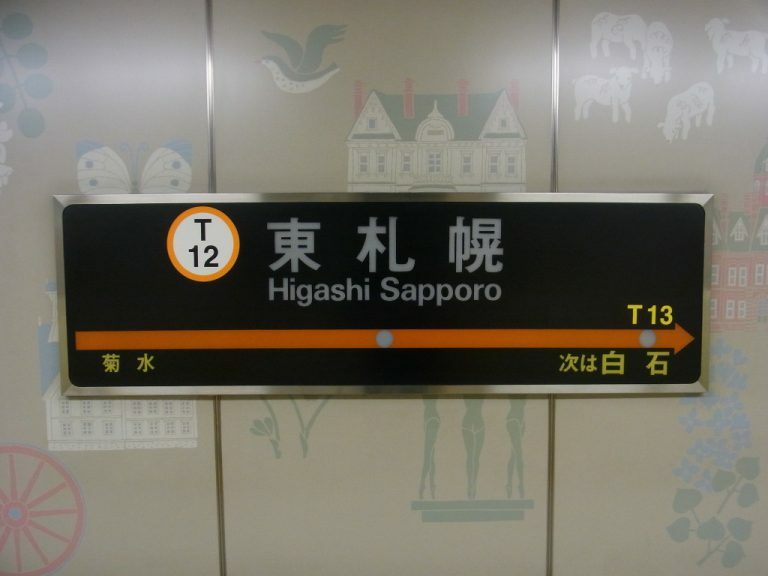 3 train takes you to the Higashi-Sapporo Station. 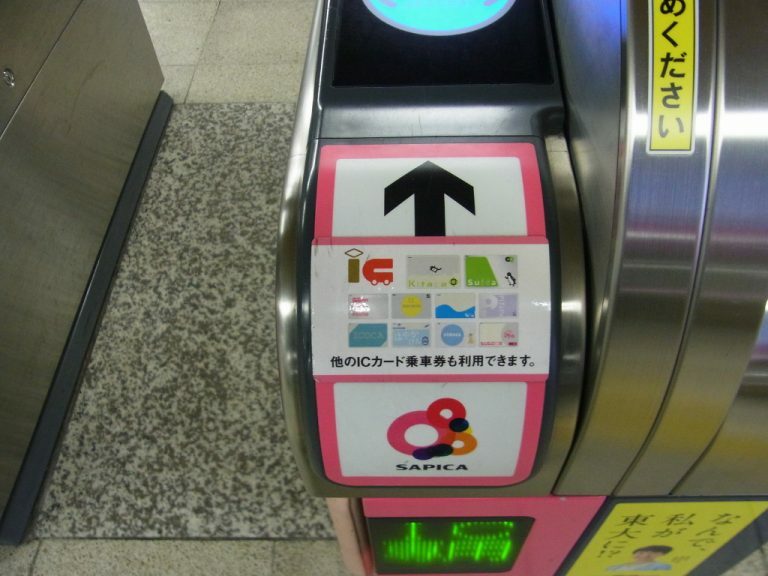 You can use prepaid transportation related IC cards, such as Suica, ICOCA, PASMO. 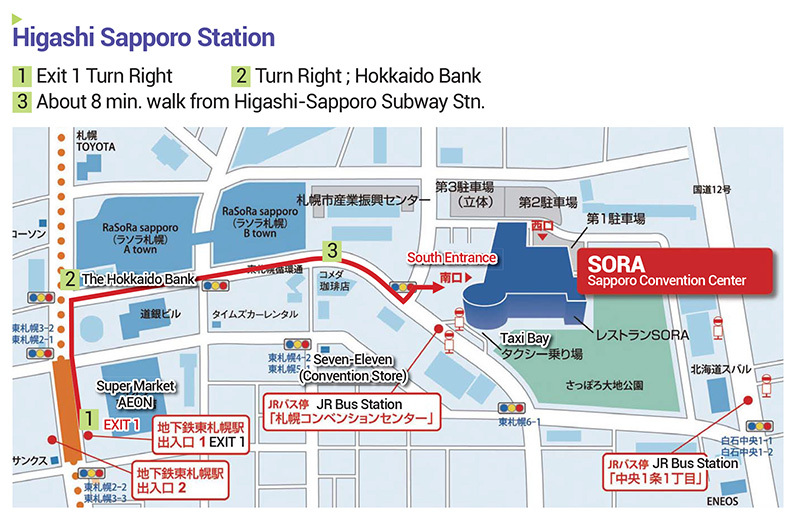 Higashi-Sapporo is the 3rd station form Odori (Odori->Bus Center Mae->Kikusui->Higashi-Sapporo). 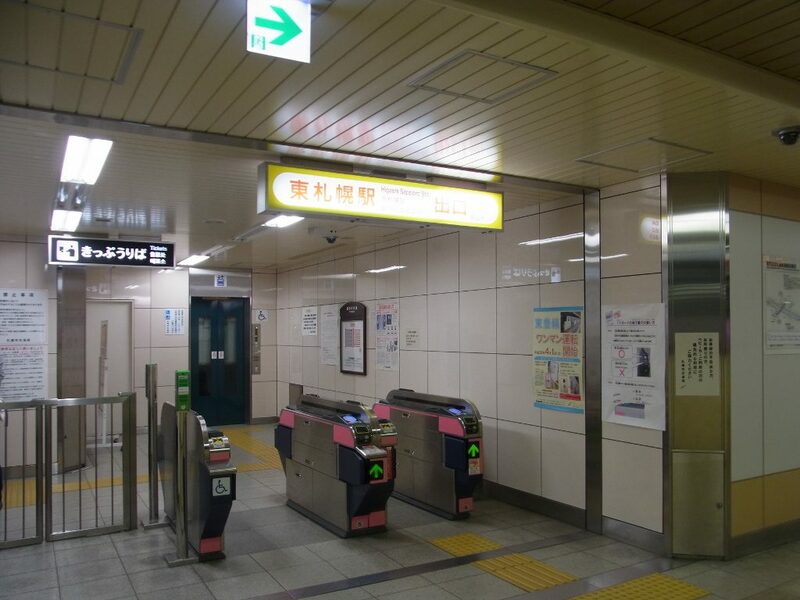 East gate is connected with the platform. 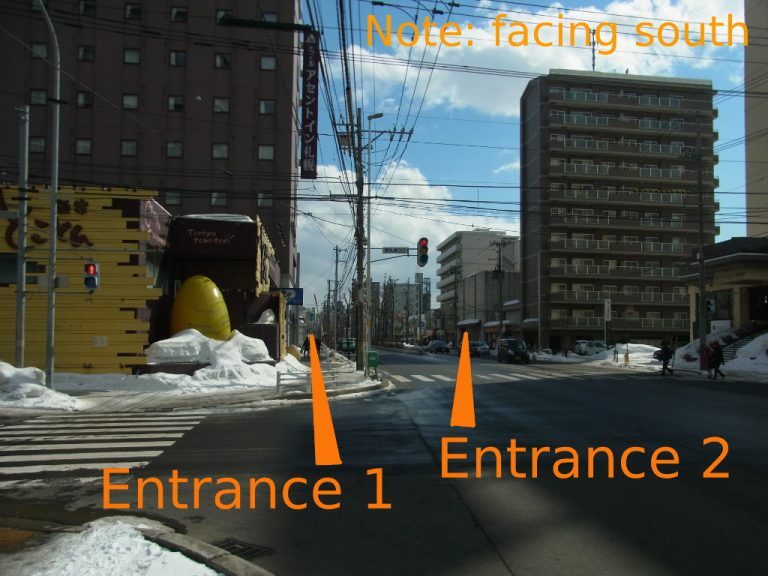 Go through the gate and turn left. Then climb up stairs to the ground. 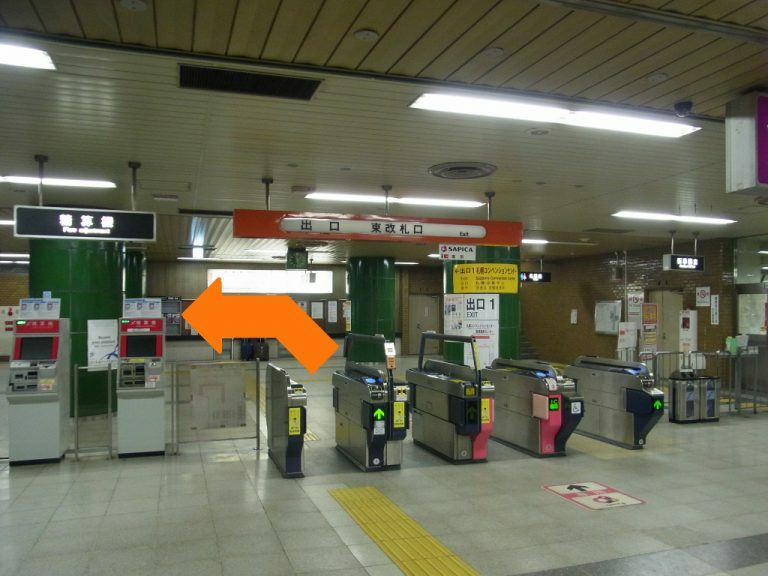 There is a elevator (lift) to the ground at another gate opposite to the travelling direction of the train. Go through Exit No. 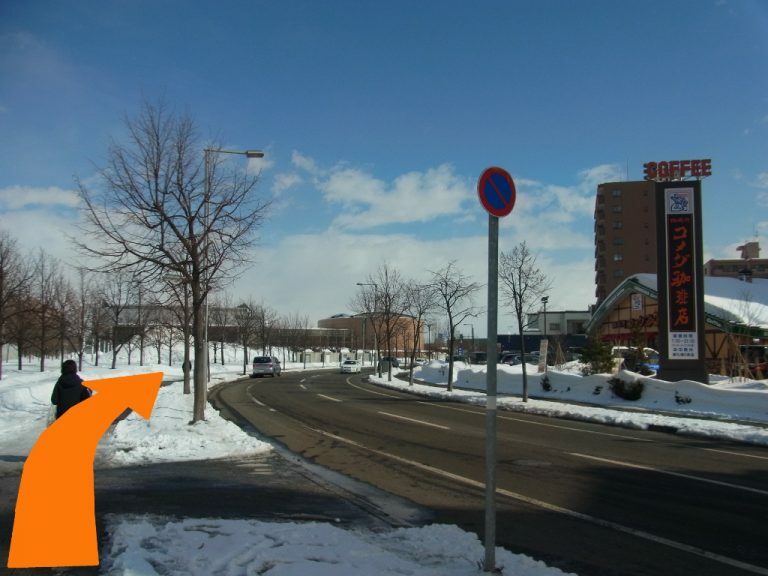 1 and turn right to the north. Then go though the crossing. 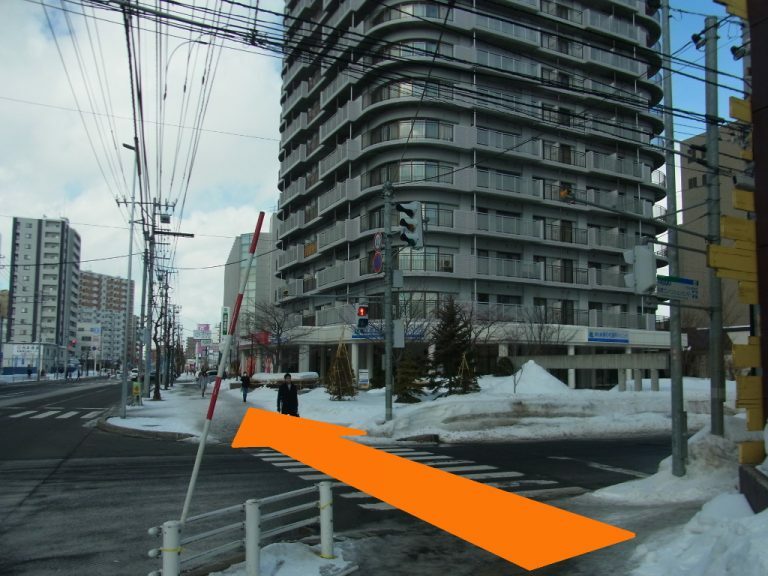 At the next crossing, turn right to the east. Pass a shopping mall named "iias" to the left. Go along the road. 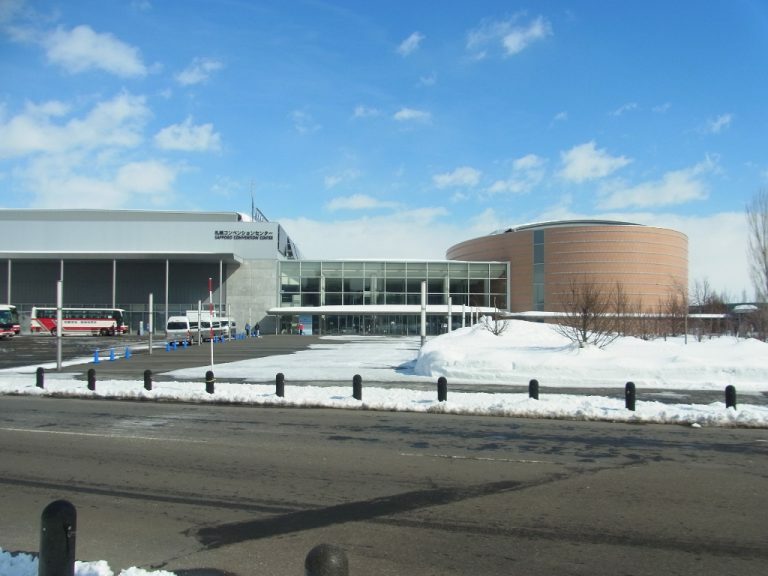 Here, you can recognize the Sapporo Convention Center. Then pass the crossing. It takes about 8 min. 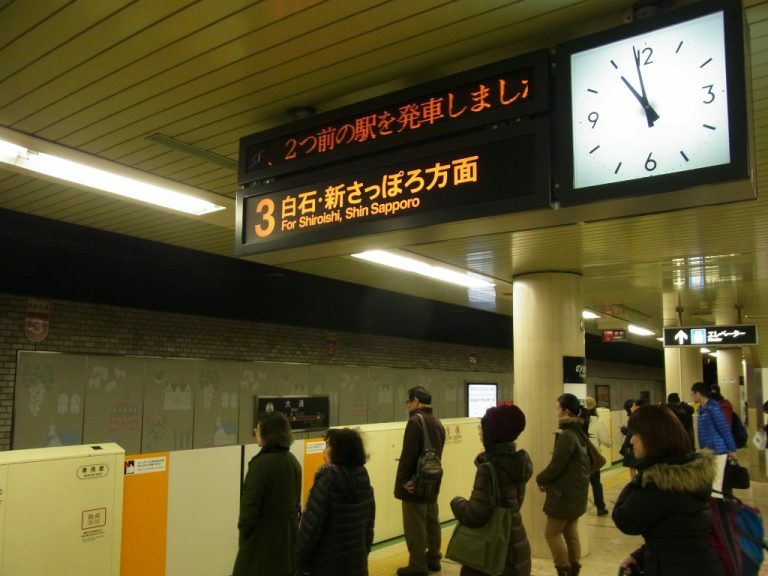 from the Higashi-Sapporo Station. 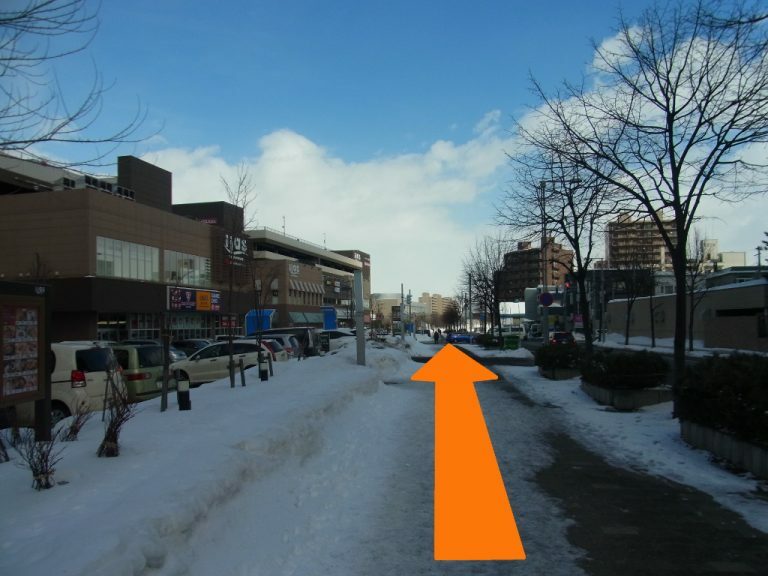 If you follow the path reversely when you go back to the central Sapporo city, you will reach the Exit No.1 of the Higashi-Sapporo station. 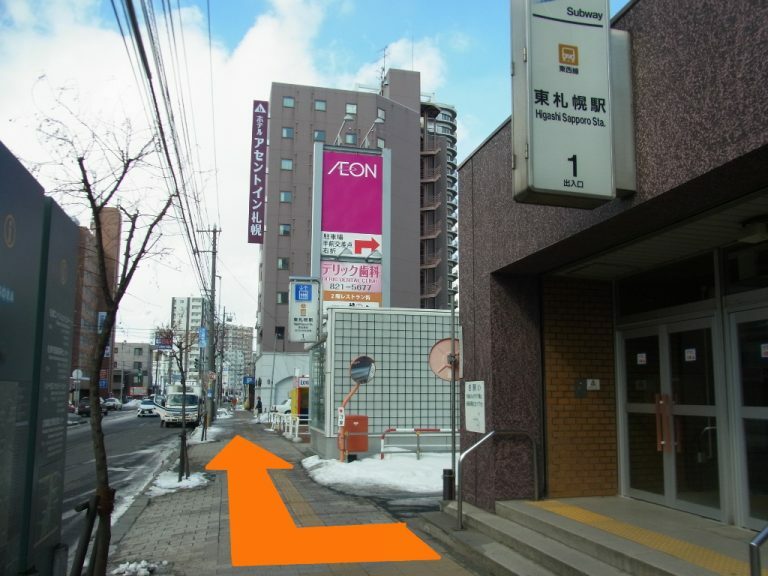 It may be inconvenient because the Exit No.1 is connected with the platform for the train that goes to the Shin-Sapporo. 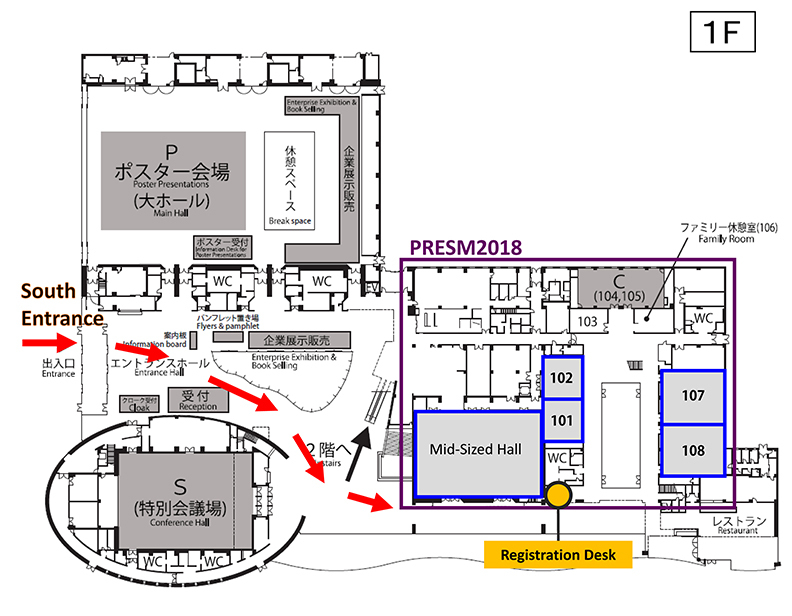 We recommend you to use Exit No.2.